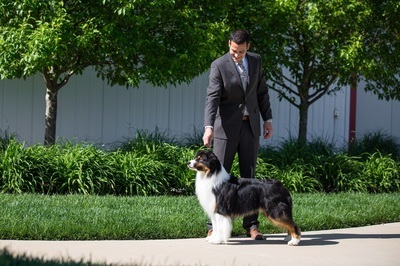 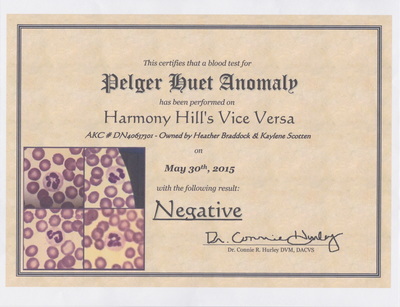 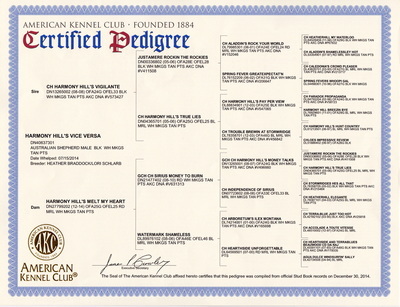 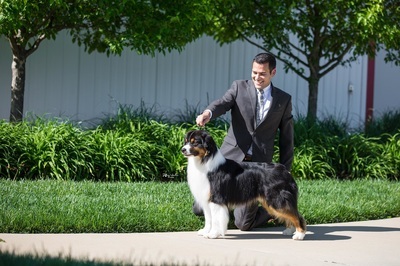 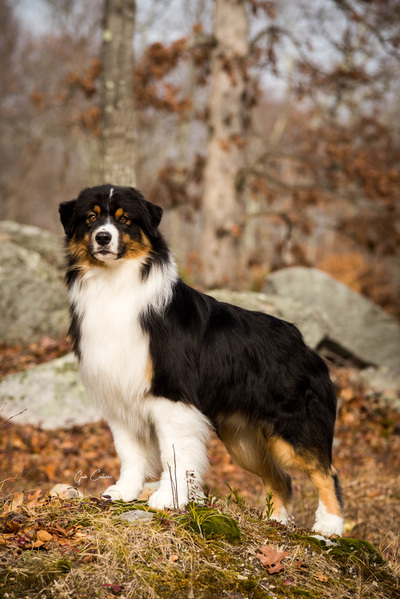 Sired by: AKC ASCA CH Harmony Hill's Vigilante "Virgil"
Out of: Harmony Hill's Melt My Heart "Cheyenne"
What a nice beginning to what we hope will be a wonderful career. Best Of Breed Puppy x 3 and Best Puppy In Circuit at the well attended ASCA Harvest Moon Mania Shows 2014. 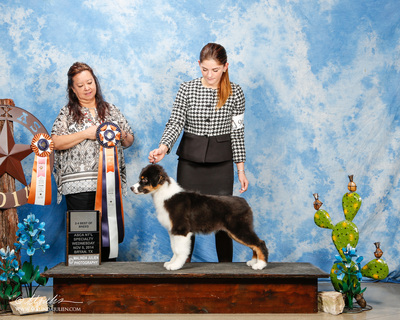 Then on to the 2014 ASCA National Specialty in Texas where he went Best Of Breed Puppy! 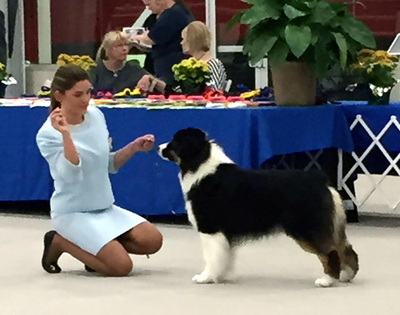 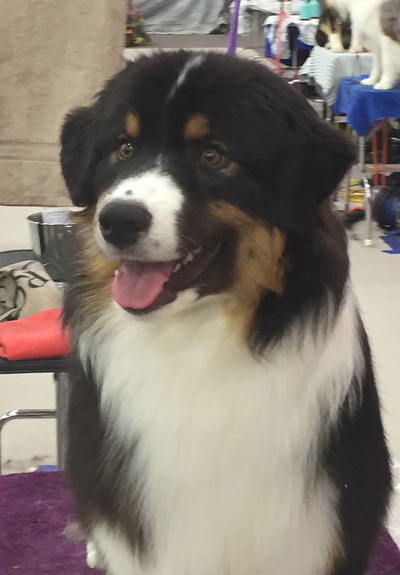 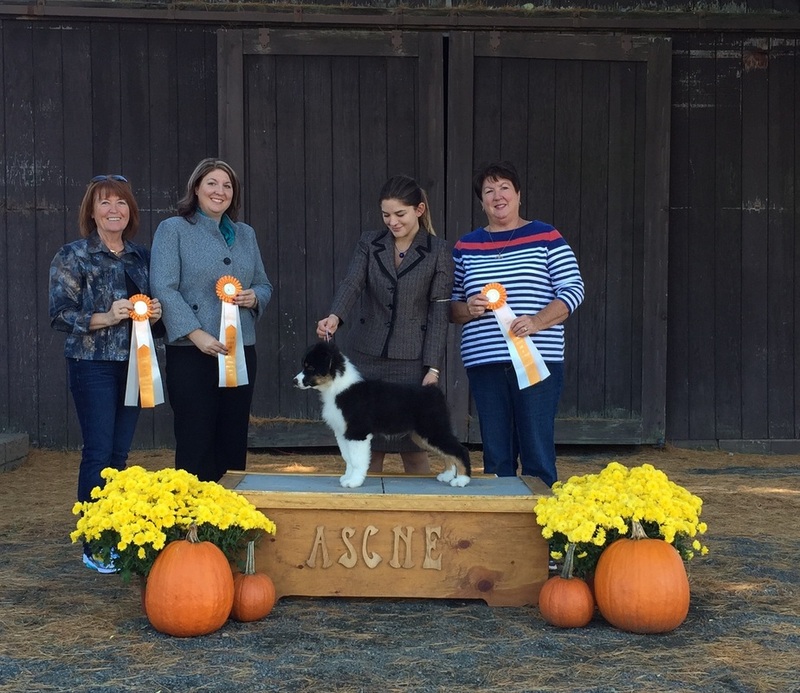 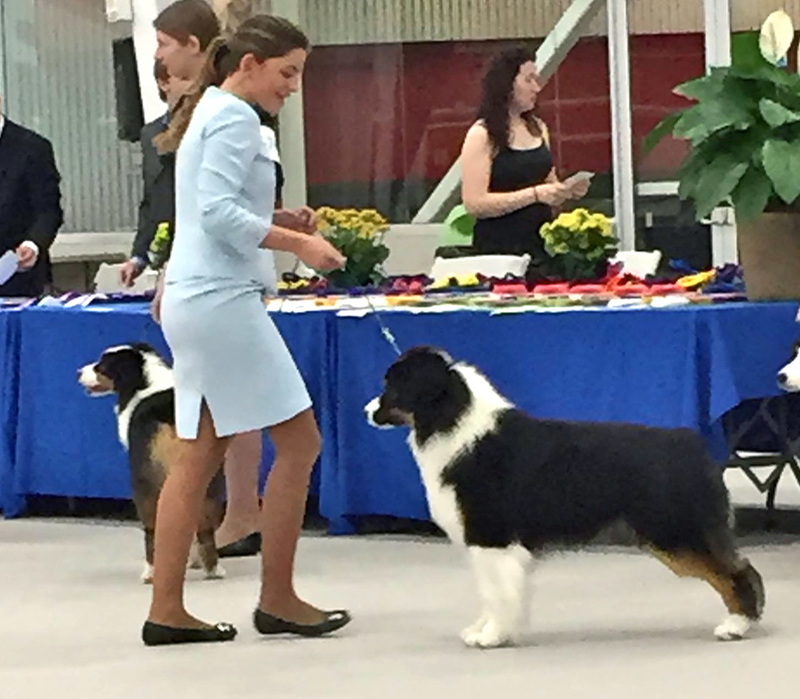 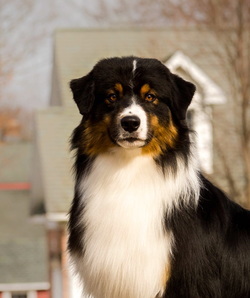 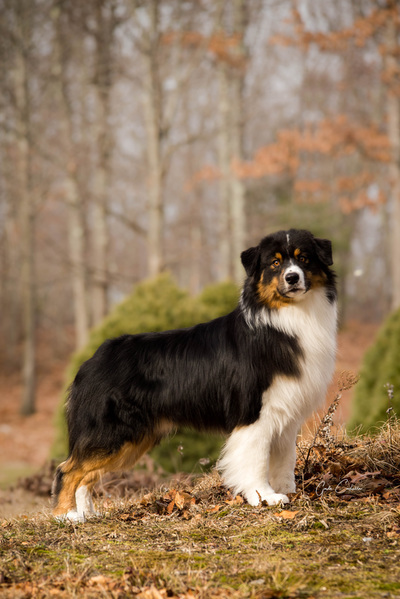 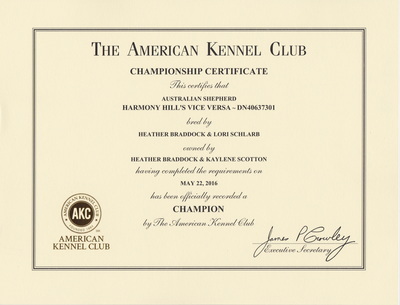 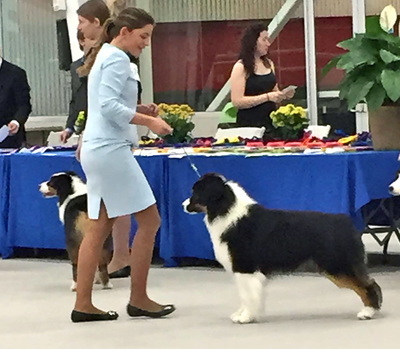 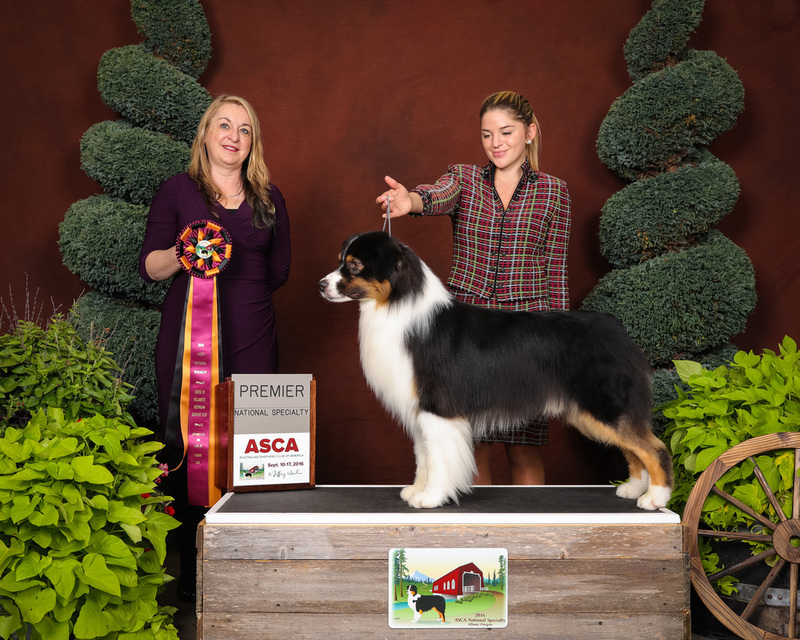 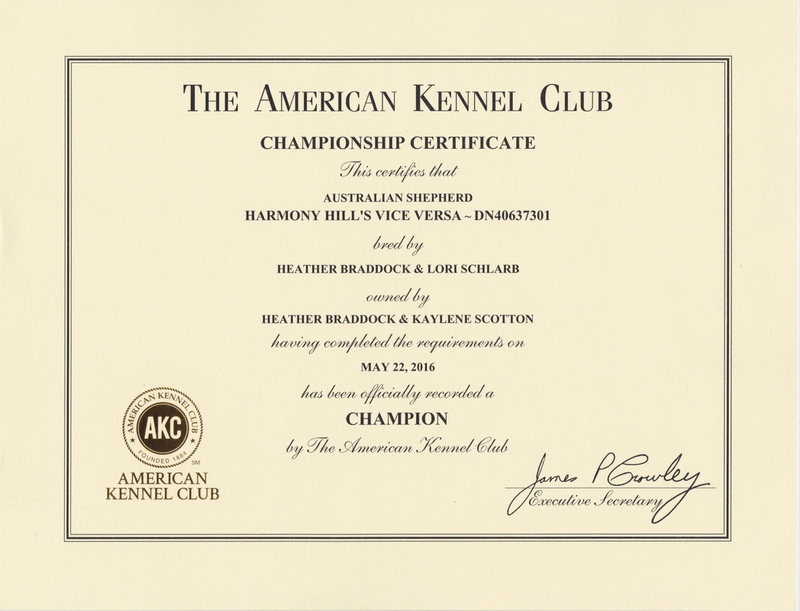 Vice finished his AKC Championship in just 2 weekends out. 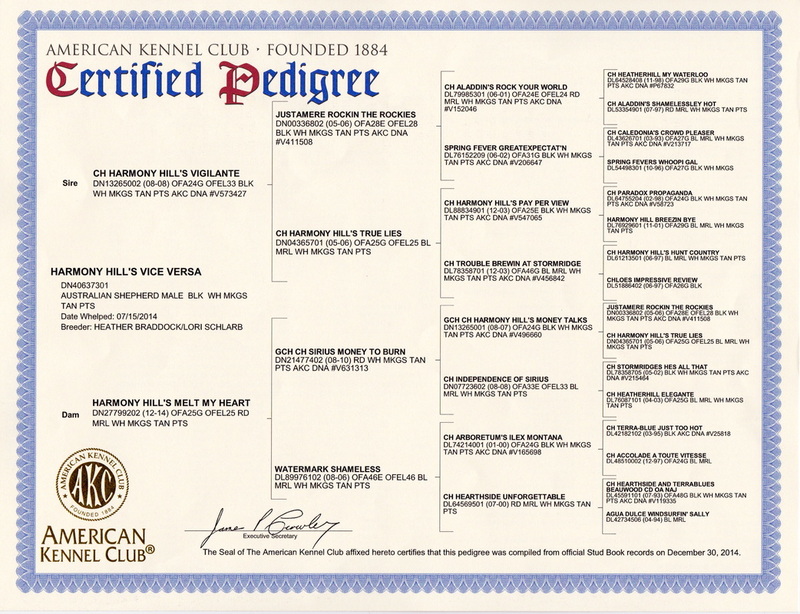 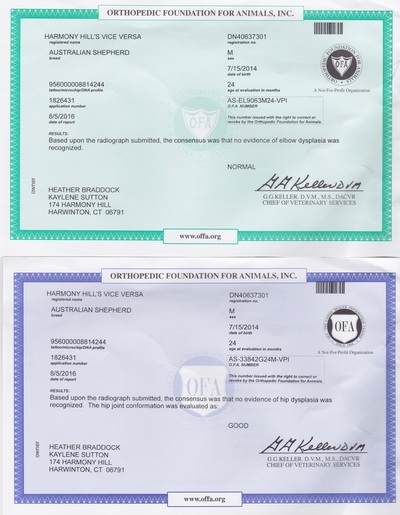 Below photos are clickable to enlarge.